Community science is increasingly important. 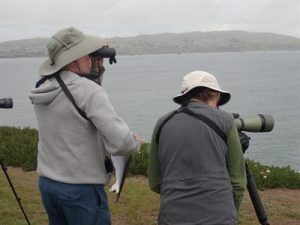 Stewards and State Parks community science volunteers monitor nesting seabirds along the Sonoma Coast, April through August, and document disturbances that compromise successful breeding. This training will introduce you to the work done by citizen science volunteers and help you get involved in this important task.